Avg. Group Discount of 23.0%! We proudly offer the following great amenities to our guests: Complimentary daily hot breakfast.Tuesday and Wednesday complimentary evening social from 6:00pm to 7:30pm.Complimentary Wireless InternetComplimentary and onsite Fitness Center, Heated Indoor Pool, Onsite Laundry, Outdoor Sport Court.We also have the following all complimentary:We offer studio suites, one bedroom suites and two bedroom suites. All guestroom rooms include a queen bed in our one or two bedroom suites and king size bed in our studio suites. All suites include a full kitchen as well as a living room. Our taxes here are 12.45% and after a complete 90 day stay here in Massachusetts, our guests become tax exempt. We proudly accept pets and there is a limit of one pet per room and a non refundable pet deposit of $75.00. The Residence Inn by Marriott highlights above are subject to change without notice. 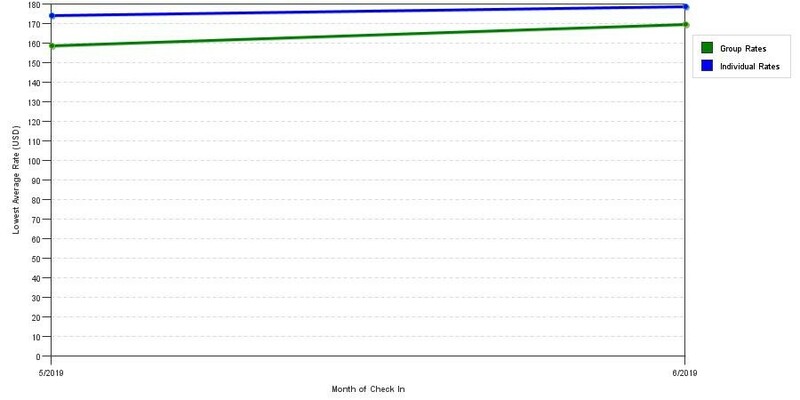 Above shows fluctuations of room prices for both group/meeting quotes and the lowest individual traveler prices our rate checker could find at the time the group/meeting offer was entered. The most competitive group or meeting displayed is 42.3% in the month of May 2018 and the highest average individual rate is $179 in the month of October 2018. This chart will show past seasonality and also project future months. If you are flexible with dates, you may want to consider staying at Residence Inn West Springfield in a month when rates are lower. 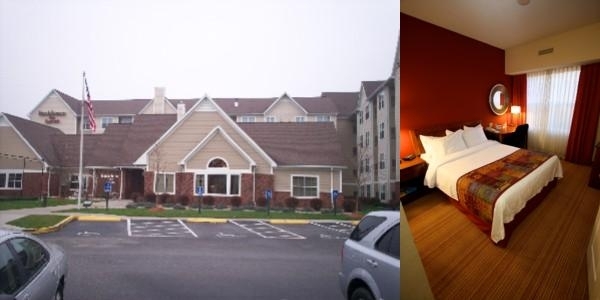 Below are the meeting, banquet, conference and event spaces at Residence Inn West Springfield. Feel free to use the Residence Inn West Springfield meeting space capacities chart below to help in your event planning. Hotel Planner specializes in Springfield event planning for sleeping rooms and meeting space for corporate events, weddings, parties, conventions, negotiated rates and trade shows. Our meeting room can fit up to 20 ppl. 20 x 10 x 10 Ft.
25 x 25 x 92 Ft.